Apparently, Christina has a thing for Skrillex’ music. Judge for yourself by checking out these posts of hers. 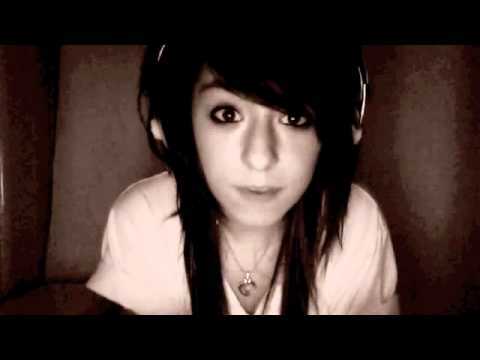 CHRISTINA GRIMMIE ♥♥♥♥♥♥♥ SKRILLEX. yu have no idea. i’m having issues. i’m STILL freaking out at how much i like Skrillex. just found out about him last night…WHY WASN’T I SEARCHING THE INTERNET FOR THIS AWESOME MUSIC A LONG TIME AGO!?? urgh. hes so kewl. okay, anyway. Going on TOUR tomorrow!! WHO’S going to the Digitour???? Because i can’t post a cover, here yu go. Me rawkin out to some MUSIC! ^_^ requests?